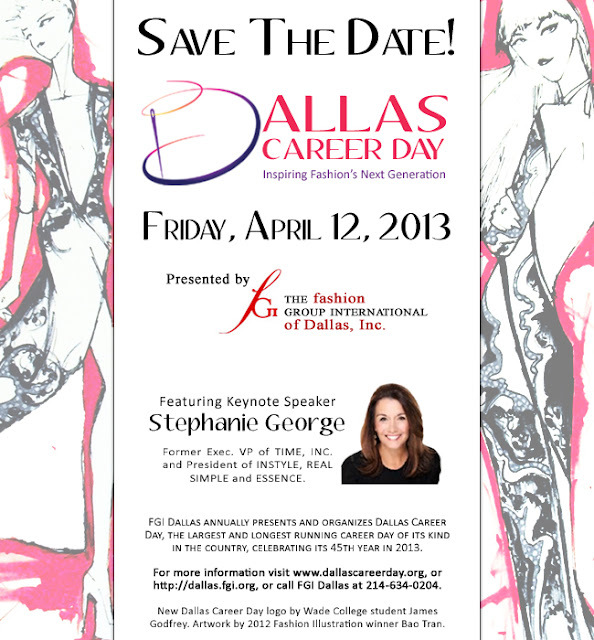 If you're a college student in Dallas interested in a career in retail or fashion, you really need to go to the Fashion Group International's Career Day on Friday April 12, 2013. Known as "The Ultimate Fashion Experience," Career Day attracts college students from all over the country. And it's going to be held at one of my favorite places in Dallas - The Dallas Market Center. I would have loved to participate this year, but I can't miss class... maybe next year for me. It's tough to miss a day at SMU or I would go. But if you can skip a day of class for this, it is totally worth it. You will get to hear from fashion professionals and see a runway show at the end of the day. Project Runway alums Shirin Askari and Anthony Ryan Auld attended Career Day when they were first starting out. Registration ends this Friday March 22, so register today! And when you go, tell me how it is.